The Beatles have sold at least 2.3 billion albums; achieved 6 Diamond, 24 Multi-Platinum, 39 Platinum, and 45 Gold albums in the United States alone; and continue to experience impressive commercial success--now more than at any other time. What is it about this iconic group which continues to draw attention from each successive generation, even more than 40 years after their disbandment? 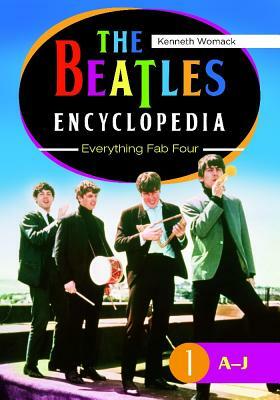 The Beatles Encyclopedia: Everything Fab Four provides casual fans and aficionados alike with a comprehensive study of the historical, cultural, and musical influence of the Beatles, providing hundreds of insightful entries that address the people, places, events, and other details that have contributed to the band's status as a global phenomena. Kenneth Womack is professor of English and integrative arts and associate dean for academic affairs at Penn State Altoona.